Skip the center and get to work in Jätkäsaari. 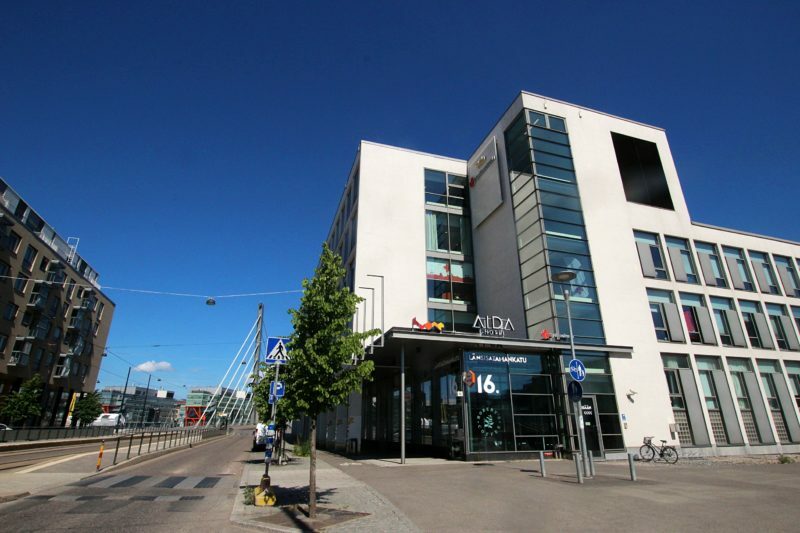 An up and coming area of Helsinki that’s on the sea with excellent transportation connections to both central Helsinki and Espoo our original location is positioned to take advantage of all the business hubs in both cities. HUONE Jätkäsaari is easily reachable by car, metro (Ruoholahti) and tram. HUONE Jätkäsaari is the epitome of our philosophy to provide a full-service venue for all your business meetings and functions. HUONE customer parking (see map below) is located just next to the HUONE building. 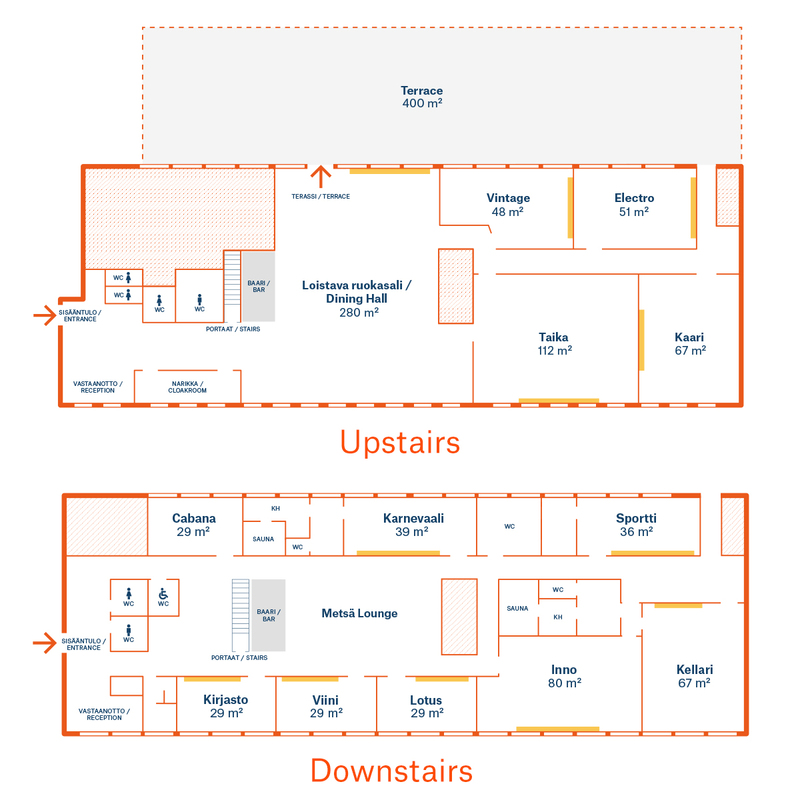 Please note that only the nearest area to HUONE building is for customer parking. (The larger area is operated by the municipality and unfortunately we cannot compensate for any fines received for parking there). Drive in from “Messipojankuja”, next to “Martin Wegeliuksen kuja”. No previous registration is needed and the payment can be done at HUONE’s reception upon arrival. HUONE Jätkäsaari’s entrance is located at the southern end of the building, next to a construction area. You will see a number 16 above the door, it’s the same entrance as Aida Hotel. HUONE’s reception is on the 2nd floor. HUONE is only five (5) minutes walk from the Ruoholahti Metro Station. Guests arriving by Metro are recommended to use tram number 8 (stop ´Cruselllinsilta´)which brings you directly to our entrance. Tram number 8 takes you directly to HUONE. The tram stop is called ‘Crusellinsilta’ and is located right in front of HUONE. Tram number 9 also stops ‘Saukonpaasi’ just a short walk away. From Länsiväylä follow signs for Ruoholahti. Then follow the signs for Jätkäsaari. Our address is Länsisatamankatu 16, across the bridge (Crusell Bridgem Crusellinsilta) between Ruoholahti and Jätkäsaari. From Mechelininkatu turn to Ruoholahti by driving Itämerenkatu until the corner of Länsisatamankatu. Take from the traffic lights in this corner take left (following the tram line), continue on Länsisatamankatu over the Bridge Crusell. 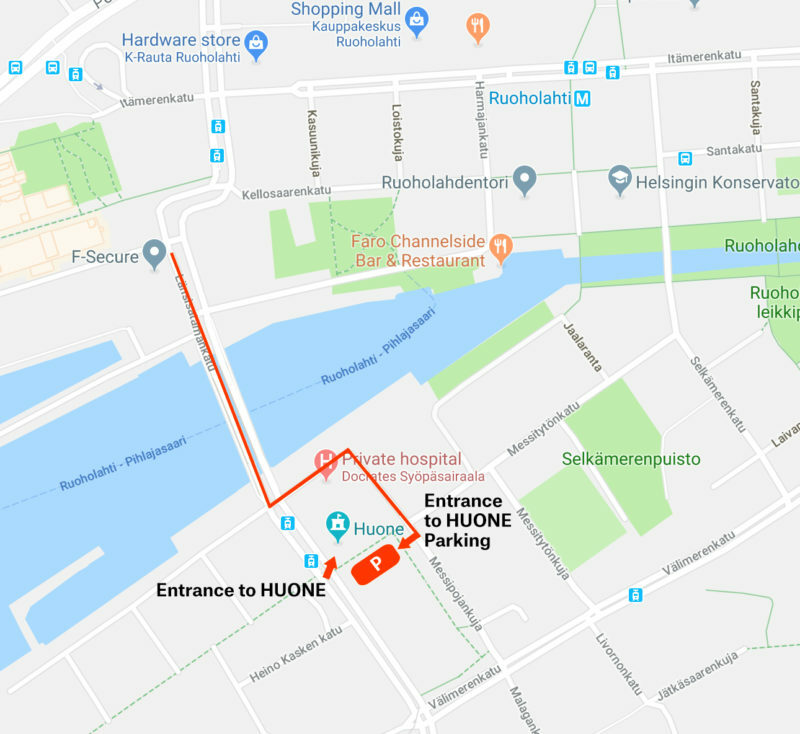 You will spot HUONE entrance on the left just next to the tram stop after the bridge. To park in HUONE parking slot, you need to turn left right after you have crossed the bridge. Our address is Länsisatamankatu 16, across the bridge (Crusell Bridge – Crusellinsilta) between Ruoholahti and Jätkäsaari. HUONE is located in the first building on your left after the bridge.